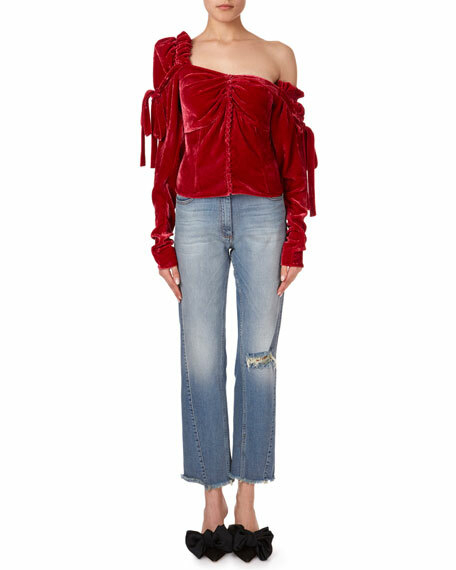 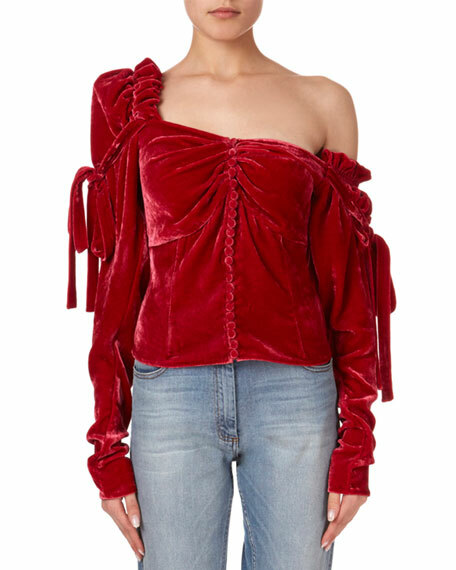 Magda Butrym "Leticia" velvet bustier top. 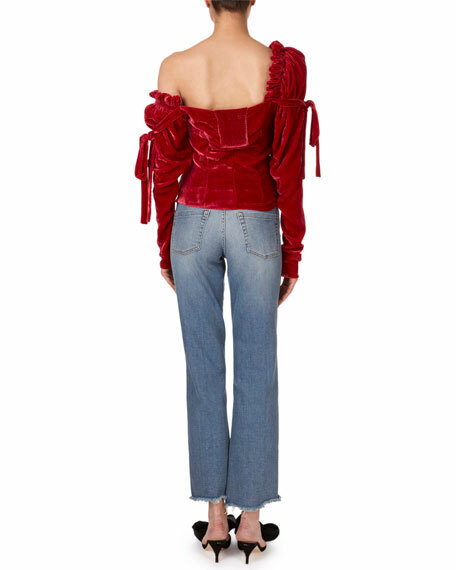 One-shoulder neckline; covered button-front details. 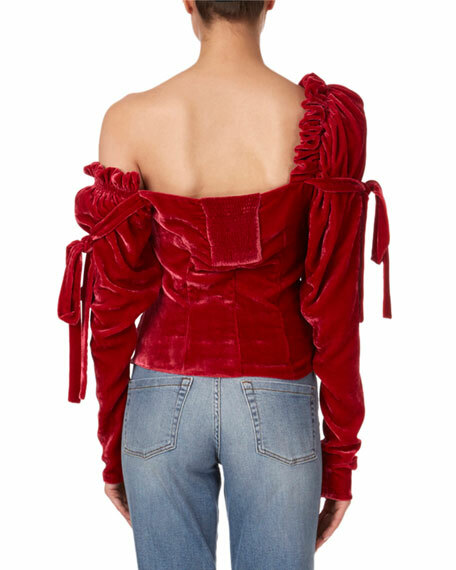 Long ruffle sleeves with ties. 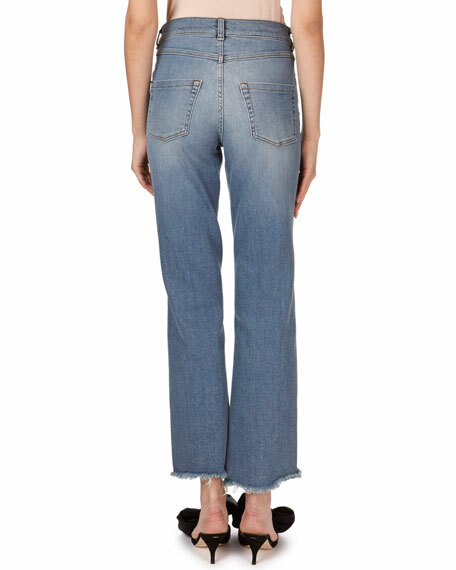 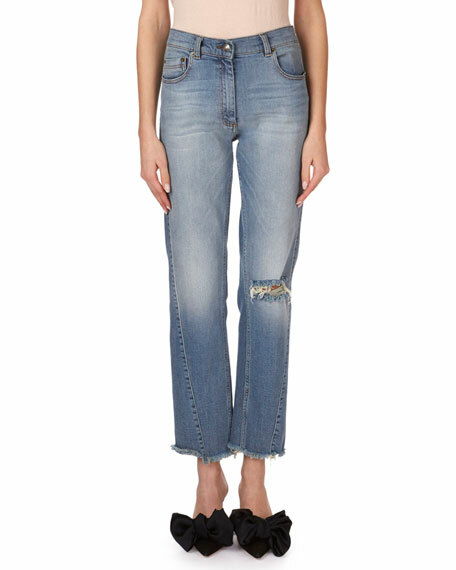 Magda Butrym "Nelsonville" jeans with whiskering and fading.